Our PRO Sean does a wonderful job on Club Notes for local newspapers, club website and Facebook page. This week, you would be forgiven for thinking that I had given him a brown envelope or two. Read on to decide for yourself. Happy New Year one and all. “No more champagne and the fireworks are through” they sang. It doesn’t sound like Abba brought a lot of cheer to the Stockholm CC New Year’s spin but it’s a good time to reflect on a fantastic 2010 for the club and look forward to a great 2011. Last year saw numbers up on club spins, more members taking up racing, big club representation at sportives all over the country and plenty of success on the roads. Pádraig’s group went from strength to strength and served as a great introduction to new cyclists, many of whom set themselves targets that they subsequently went on to achieve during the year. I’m sure a lot of people would like to thank Pádraig for taking the initiative on this. Dungarvan CC jerseys were prominent on many leisure tours and indeed the club received positive comments for their workrate and solidarity. Club competitions increased in popularity. Many thanks to all those who gave their time to marshal the events and to all of our sponsors. The club open race was extremely well attended on a beautiful day in August. Again, thanks to all who ensured the success of the event. The racing team had a notable year with plenty of victories and places in road races and time trials recorded in 2010 and Brian Hallissey capped off a terrific season with selection for the Irish team. Plenty to look forward to in 2011 then. Lots of goals are being set and there’ll be no shortage of support to help you achieve them. Dungarvan Cycling Club provides several options for members and intending Members. For anyone beginning the sport just come along to the Square on Sunday mornings for a 9.35am start. Arrive 10 to 15 minutes early for advice and tips. Bring a helmet and water. You will be advised on a suitable distance to begin with and later a personalised fitness programme will be available to you. Our group (cycling at a steady 25kmph / 15 mph) generally goes to Cappoquin and Lismore. You may be ready for this journey, or perhaps just half way…we provide options for approx. 15k, 30k and 50k. Other more regular members go on beyond Lismore, completing up to 80k before lunch. 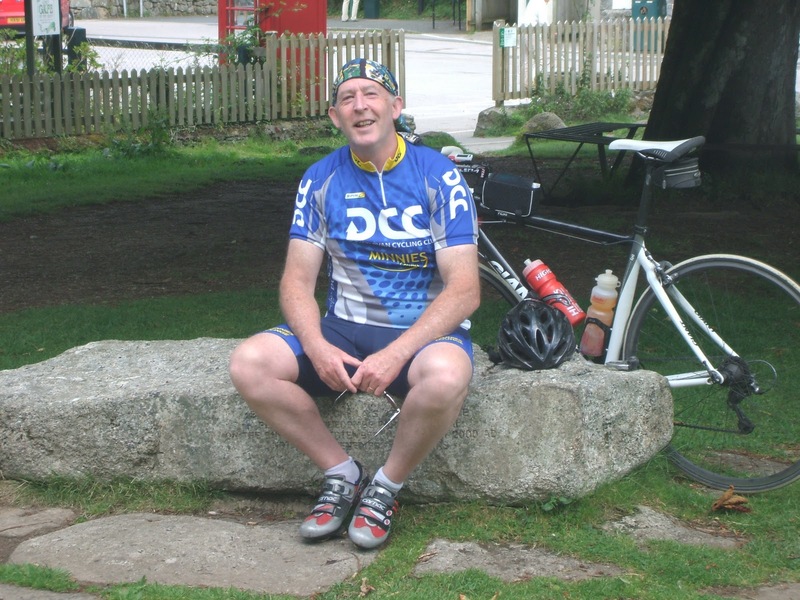 Quote from member who started in February 2010: “I was advised that if I stuck to the plan, I would be able to cycle the Ring of Kerry in July. I did, and I did! It was for me a huge achievement, as I managed only 10 miles the first day.” Helmet compulsory, water advisable. A cycling weekend in west Wales is being organised for the June Bank Holiday 2011. Travelling by Ferry to Fishguard on Friday June 3rd we will be staying in the Fishguard Bay Hotel, returning on Monday afternoon June 6th. The hotel rate is £45 (pounds) per person sharing for Friday, Saturday and Sunday nights, returning on Monday afternoon (after a final spin, of course!). Once we determine that there is sufficient interest in this, we can work on a schedule for the weekend. Already, discussions on the road have brought forward the idea of having two separate groups wandering around west Wales, similar to our club setup here. Possibilities also of something like a two-hour spin, followed by a long lunch and cycle back to hotel. Anyone who knows good (hard) routes let us know. If you are interested (or your partner!) contact Pádraig de Búrca as soon as possible. A deposit of €50.00 will secure your place. Contact Padraig in person or by email at *******@hotmail.com before January 30th 2011. We intend booking places for 14, and anyone coming on board after that will be able to contact the hotel directly for availability. Incidentally, this trip is on the weekend before the Wicklow 200, so anyone doing both will be well advised to go to Wales just for minimal cycling and maximum fun. We will ensure also that this weekend will be suitable for anyone who started in to the Steady Eddie group during 2010. Do not be be put off. The weekend will be a fun one, but for more experienced cyclists, extra hard routes including steep gradients will be found.